Cancer, diabetes, heart disease and arthritis vary in severity, but all of these illnesses have one thing in common: they are categorized as chronic diseases. A chronic disease is defined by the Center sfor Disease Control as conditions that last one year or more and require ongoing medical attention and/or limit activities of daily. They are generally unpreventable by vaccines and incurable by medication. They’re also common, with 80 percent of older adults suffering from at least one chronic disease. 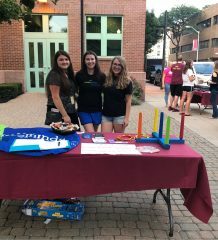 In the fall of 2018, Gannon University students, along with Health and Counseling Services staff member Brigid Wilcox, started the club Common Bonds to help unite students who suffer from chronic diseases. 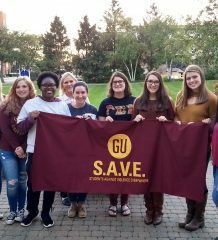 The club’s executive board is made up of President Alex Schroeck, Vice President Mallory Sarkis, Treasurer Kelsey Heenan, Secretary Grace Schaefer and Adviser Brigid Wilcox. Schroeck said that Common Bonds provides a space for individuals with chronic health conditions and those with family or friends afflicted with such conditions to come together and empower one another through education, advocacy and support. “By promoting education on these health conditions and supporting those facing illnesses that impact their everyday life, Common Bonds strives to be more than just a support group,” Shroeck said. The club gives students a safe space to talk through and discuss their illness without judgment. It gives them an area to be around others who understand the struggle they go through on a daily basis. The club has big plans for the future, including bringing a guest speaker to campus during next spring. Within the club, the executive board aims to increase membership in order to build a community feel through peer mentoring between members. In the future they would also like to hold a retreat for members as well as continue their community outreach in the Erie area. affect their members. Students interested in joining Common Bonds can find out more on EngageU. They can also be followed on their Instagram page, @gucommonbonds.